2016 Victory Empulse TT. Picture credits - Victory. Submit more pictures. 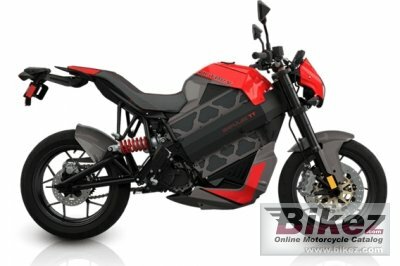 This is a street legal electric race motorcycle. Accelerating up to 100MPH+ and the battery fully charges in 3.9 hours. Where it matters most, the Empulse TT is fast. It is 10,400 watt hours of proof that Victory doesn�t just prove performance, we advance technology. Comments: Power Lithium Ion battery, 103.6 Volt. 10.4 kWh. Recharge time approximately 3.9 hours. Ask questions Join the 16 Victory Empulse TT discussion group or the general Victory discussion group. Bikez has reestablished Bikez.info motorcycle web shop overview. Here we present the major online shopping possibilities for motorcycle parts, gear and accessories. This includes customizing and insurance. Search and compare products and prices. Try our 2016 Victory Empulse TT discussion forum if you have questions or comments. Information about any technical issue is always welcome.